Nobody seems to have expected the so-called “sui generis” process of state-building in Kosovo would result in “sui generis” events and (mis)conceptions regarding fundamental issues of constitutionality and constitutional justice. Until now, almost all authors I have read praise the so-called internationalized constitutionality and constitutional justice in Kosovo. But these articles disregard the main issues with what has happened and is happening in Kosovo. It is the main goal of this contribution to enlighten the real and non-mentioned aspects of the fragile constitutional justice in Kosovo. The constitutional order of the Republic of Kosovo is a product of the so called “Ahtisaari Plan”, a unilateral status settlement proposal and the outcome of the failed Kosovo-Serbia negotiations regarding the status of Kosovo. The Comprehensive Proposal for the Kosovo Status Settlement was drafted by Martti Ahtisaari and laid out the main pillars on which the new constitution of Kosovo had to be based. The new constitution was intended to serve as a guide to building a democratic state as well as a fundament for guaranteeing human rights and freedoms, specifically making provision for privileges for, and special protection of, ethnic minorities (on a level exceeding international standards). In this regard, the Constitutional Court would also therefore have a special role to play. It would have to be the carrier of political power following the path “predestined” for it in the Constitution. The events that took place in the first decade of independent constitutional justice in Kosovo however, raise many questions about whether the Court has fulfilled this role as a transformative actor and guardian of constitutional and conventional guarantees. According to the Constitution of Kosovo, the Constitutional Court is comprised of nine judges. During the provisional period, six judges had to be elected by the parliament (two of which had to represent ethnic minorities), while three judges had to be appointed by the International Civilian Representative, upon consultation with the President of the European Court of Human Rights (ECtHR). The intention was that the international judges appointed to the court would guide the Kosovar members of the Court, as these national judges lacked experience in constitutional justice adjudication. While some of international judges appointed to the Court brought relevant experience, including experience serving on the European Court of Human Rights and at the War Crimes Chamber of the Court of Bosnia and Herzegovina, other appointments were questionable. One such questionable appointment is the appointment of an American judge with little experience relevant to an understanding of the constitutional system of Kosovo and European human rights and freedoms. In fact, as later came to light, this judge spent more time in the USA than in Kosovo during his tenure at the Court. When the European Anti-Fraud Office started, as a result of this, investigations into the European Rule of Law Mission in Kosovo, he resigned. The Court was also supported by international legal advisors, these advisors however came from countries that do not have constitutional courts. Therefore, the so-called “internationalization” of the composition of the Court served to ensure it was composed of multiple nationalities and ethnicities, but without fully serving the underlying purpose for inclusion of foreign judges and advisors on the Court. The purpose behind inclusion of foreign judges was not multi-national representation but the transfer of skills, gained through experience in judges’ countries of origin, in order to support the Courts’ establishment and functioning. On the other hand, Article 22 of the Constitution of Kosovo contains a catalogue of international human rights documents which are directly applicable in Kosovo. Article 53 of the Constitution provides that the European Convention of Human Rights (ECHR) is supreme in the hierarchy of norms in Kosovo. Despite Kosovo not being a member of the Council of Europe, the constitutionalization without ratification of the ECHR has resulted in the ECHR becoming the highest, and almost only, reference for the interpretation of human rights and freedoms and, rather problematically, in the ECtHR being regarded as a role model regarding work and organization in all manner of proceedings before the Kosovo Constitutional Court. This expansive interpretation of Article 53 of the Constitution was the result of influence by international judges and international legal advisors on the Court. The Court held that it is obliged to follow precedents of the ECtHR in all its decisions in a case related to the interim measures and not in a case in which Article 53 arose. Over the same period, the Court “assessed” the “conventionality” of decisions or acts of public authorities, parliamentary laws, governmental acts or municipal statutes. In fact, while the Court filled its decisions with references to ECtHR jurisprudence, it failed to fully canvas the facts and allegations of the applicants. Consequently, ECtHR jurisprudence is relied on by the Court as a mechanism for avoiding the material assessment of the referral (see cases KO 47/16, KO 118/16 and KI 141/16). The so-called transplantation of law is a process mostly known in countries in transition. Heike Jung argues in her article Recht und kulturelle Identität – Anmerkungen zur Rezeption, Transplantation und Diffusion von Recht, that transplantation occurs when countries accelerate the state-building process – causing unexpected effects. This is what happened in Kosovo. The controversial development of constitutional justice in Kosovo was caused by the influence of other legal systems during the establishment of the Court. On one hand, the German model was adopted, through the Constitution and the Law on the Constitutional Court, for the structure, models of constitutional control and jurisdiction. On the other hand, the rules of procedure of the Court where drafted with the support of USAID, which resulted in American concepts influencing the rules of procedure, further complicating matters. In addition, as explained above, the ECHR and ECtHR where given a superior role. The Kosovo Constitutional Court has been described as following a Kelsenian model, it therefore considers itself to be the guardian of the Constitution, with clearly established jurisdiction (both in terms of the Constitution and parliamentary law). As noted above, rules on procedures of the Court where influenced by American concepts. According to Article 2(2) of the Law on the Constitutional Court, the rules of proceedings must be in compliance with this law. Yet in practice an internal act of the Court has been given the character of a constitutional amendment, not by name – but by nature. This is because rules on procedure stand despite being in conflict with constitutional provisions relating to the admissibility of referrals, internal proceedings, deadlines for decisions etcetera (compare for example Rule 39 of the Rules of Procedure with Article 113 of Constitution and with the Law on the Constitutional Court). The establishment of the Constitutional Court, like other processes in Kosovo, was not only undertaken with the support of, but also under the instruction of, the international community. In particular, the USA and EU played key roles in the founding of Kosovo as a sovereign country. Therefore, they made a crucial mistake in establishing the Court immediately after independence was declared and the Constitution was adopted. Kosovo should have followed the example of Italy, where the Constitutional Court was established eight years after the new constitution entered into force. The Court would then not have needed international judges and would have operated from the beginning as a national constitutional court (which obviously differs by nature, structure, jurisdiction, role and function from the ECtRH as an international human rights court). Further, Kosovo should have limited the application of international human rights treaties to instances in which applicants relied directly on rights guaranteed by these documents, and therefore also to application in international human right tribunals. The application of these treaties would then have been in compliance with constitutional principles and they would have assumed the correct place in the hierarchy of norms (correct within a European continental legal system). Therefore, the ECHR, and other regional treaties, would have supplemented the constitutional rights and freedoms provided by Constitution. Further, direct interpretation and application of the ECHR would have been left to the ECtHR. Hegel defines despotism as a situation in which individual acts supersede and overcome “constitutional provisions”. The Constitutional Court of Kosovo, by avoiding the direct application of constitutional provisions and by taking the place of a legislator, has failed to establish itself as the guardian of the Constitution in Kosovo. As result, Kosovo is not only an example of constitutional justice failure, but also of judicial despotism. 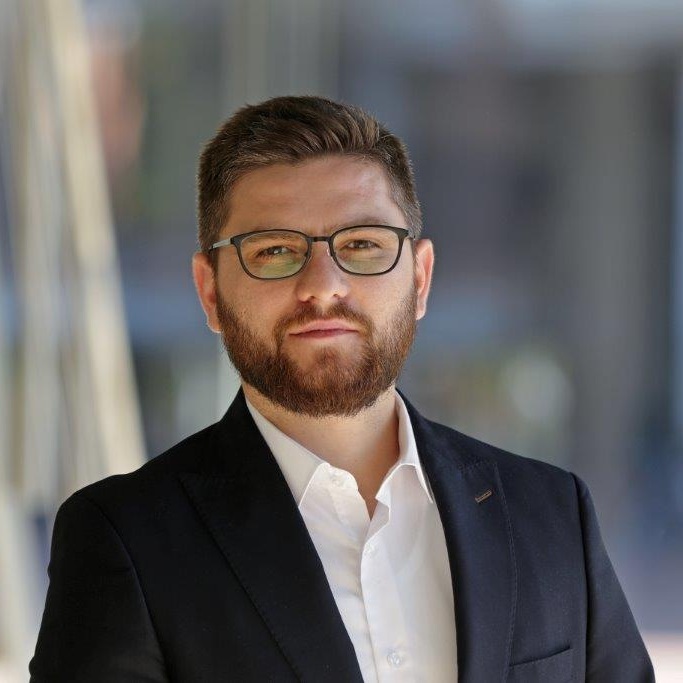 Durim Berisha is a PhD candidate and Johannes-Rau Scholar at the Institute of German and International Party Law and Party Research (Heinrich-Heine University Düsseldorf), and a former legal advisor to the Constitutional Court of Kosovo.